We were proud to once again host our successful work experience ‘taster’ days at our London head office for young adults aged between 16 and 22. The positive feedback received from the attendees overwhelmingly showed that the events were a great success and demonstrated how informative the attendees found the sessions, particularly around inspiring young people to make informed decisions on their future careers in financial services. The sessions began with a welcome from our new CEO Phillip Wale, who spoke about his experiences working in the financial services industry both in the UK and in New York, and an honest assessment of what it is like to work in the City of London. Our young attendees then had the opportunity to learn more from employees from across the business working in Wealth Management, Wealth Planning, Corporate & Institutional Broking, Compliance, Human Resources and Marketing. 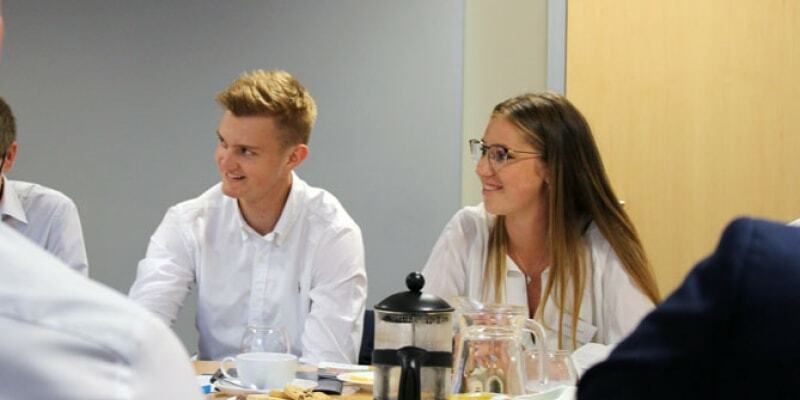 Each session gave them the opportunity to ask questions ranging from what qualifications they would need, to what a standard day in these roles entails – though there were some shocked faces when 7am starts were mentioned. Please check back here for future work experience days in 2019. Pictured: the team from CISI (Chartered Institute of Securities & Investment) talking to attendees.